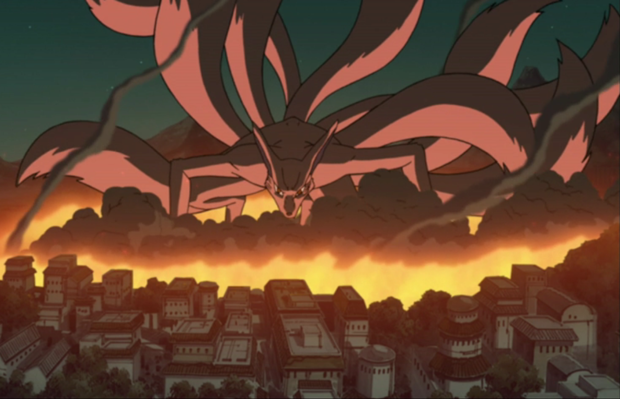 Twelve years before the start of the series, the Nine-Tailed Demon Foxattacked konohagakure, destroying much of the village and taking many lives. The leader of Konoha, the fourth hokage sacrificed his life to seal the Nine-Tails into a newborn, Naruto Uzumaki. Orphaned as a result of the Nine-Tails, Naruto grew up shunned by the villagers, who viewed him as the Nine-Tails himself, and the children, who felt the same animosity towards Naruto as their parents did. In his thirst to be acknowledged, Naruto vowed he would one day be the greatest Hokage the village had ever seen.